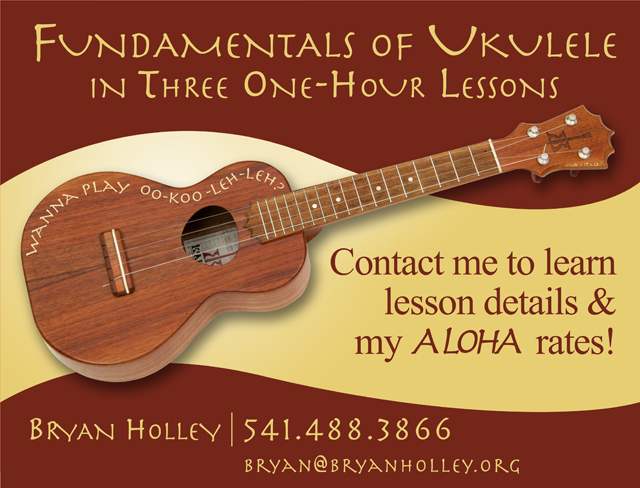 I’m excited to share with you that on Saturday, March 12, I will be offering a workshop for beginners I’m calling Ukulele Fundamentals. 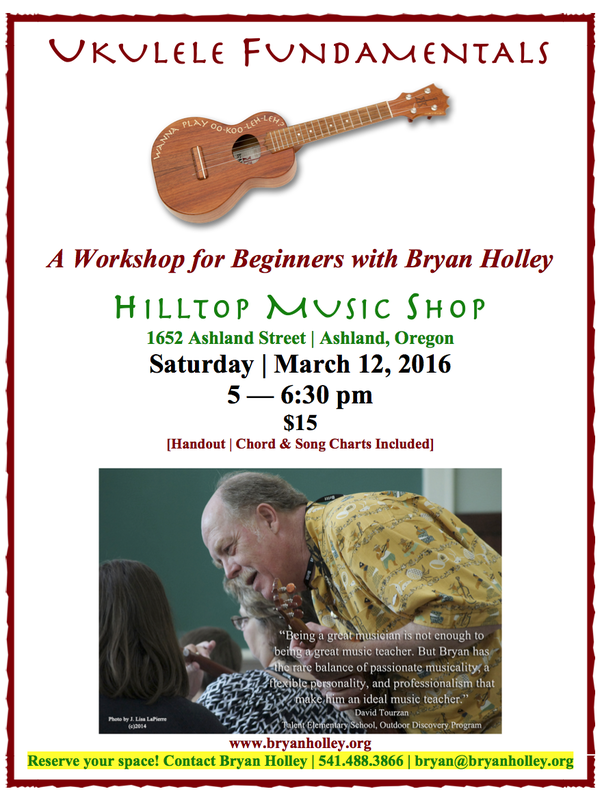 It will be a 90-minute class from 5 – 6:30 at the Hilltop Music Shop in Ashland (the mall where Ashland Cinema is). All the details are in the flyer below and if you want to reserve a space, please contact me. I’ll collect the $15 fee at the event. 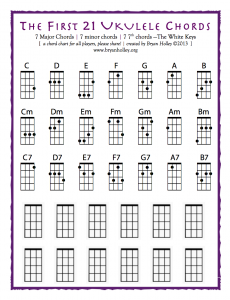 My focus as a music teacher has always been to help players learn fundamentally sound playing-hand and chording-hand techniques, and my private lessons and group classes are focused especially on exercises and techniques for beginners. 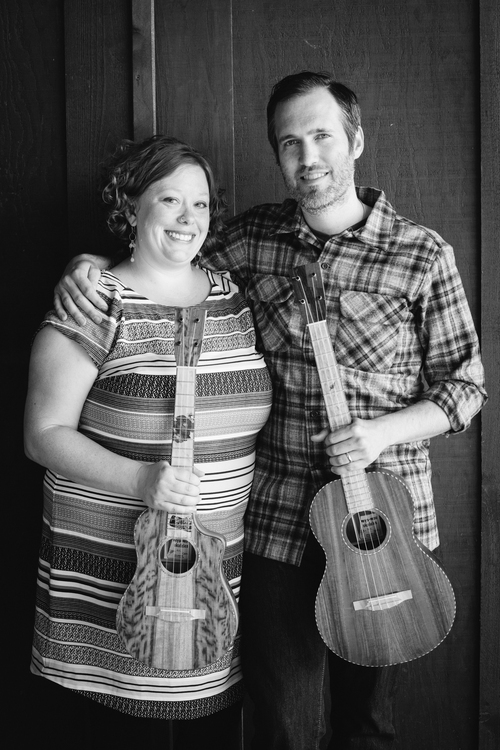 Each participant will receive handouts, my chord chart and song charts as part of the workshop to help you keep building your ukulele skills after my class. 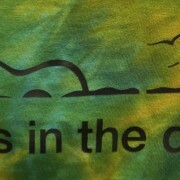 Tunes in the Dunes 5! 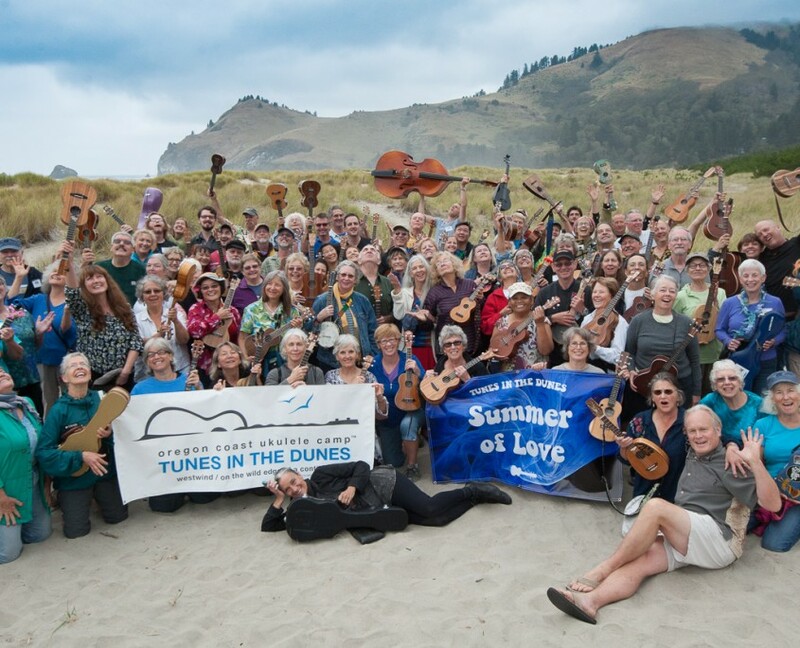 I’m thrilled to announce that I am honored to have once again been asked to join the amazing teaching faculty at Tunes in the Dunes 5 from September 18 – 20, 2015. 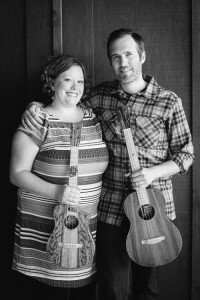 Located on the northern coast of Oregon near Otis and Lincoln City, this unique ukulele camp is held at Westwind, a former YWCA camp of almost 500 protected acres at the edge of wild America. 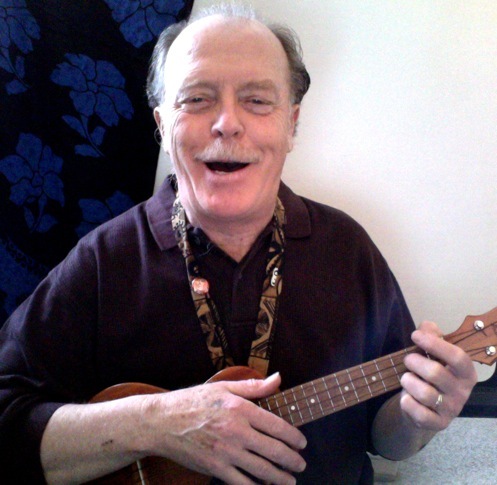 Trust me, a weekend at Tunes can transform you and your ukulele playing — that’s just what happened to me! 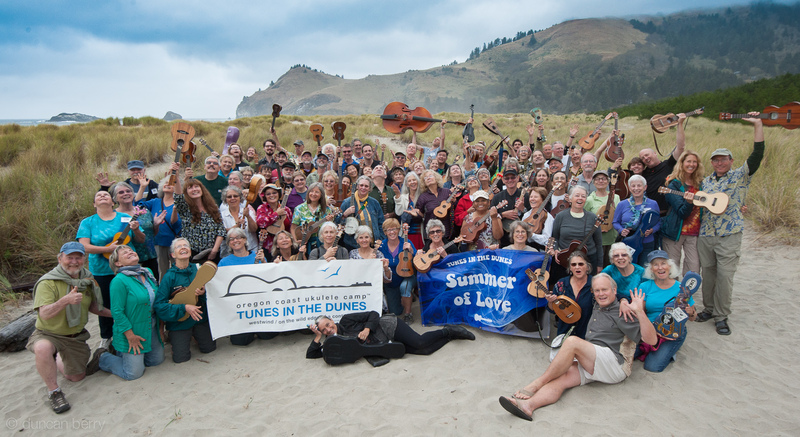 Check out this year’s great faculty and learn more at the Tunes in the Dunes site. 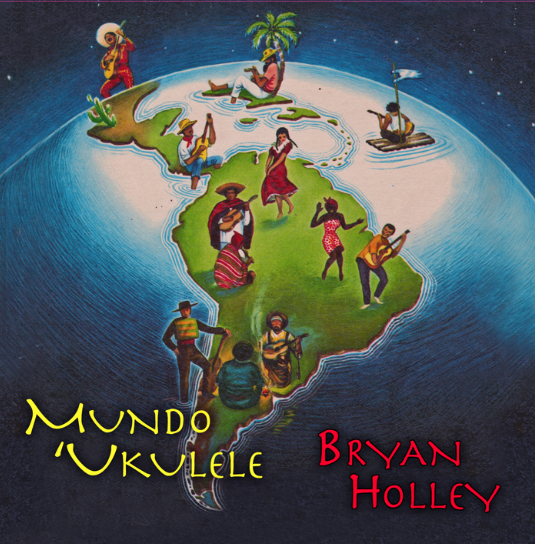 This is the virtual place where I will be posting my thoughts on all the subjects and dimensions revolving around the Great Sphere of Music. 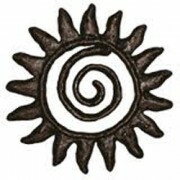 Here’s my first post. Recent advances in neuroscience technology have allowed researchers to observe and record human brain activity in real time. When they asked musicians to get wired up and play live, what they learned astounded them. 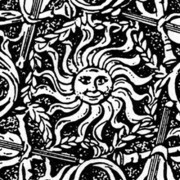 Playing a musical instrument, it is now being verified by this research, requires contributions from multiple locations of the brain and exercises our brains in a unique way not matched by participating in any other artistic or sport activity. Watch the five-minute TED video to learn more here.